Last month I was lucky enough to be able to visit family in friends in Utah for a very brief but fun visit. It was so awesome to hang out with my SIL Kristie who is such an awesome friend to me. We had fun just talking late into the night, shopping, eating, and going to the temple. It's so fun to hang out with someone that you can totally relate to and have long conversations about girl stuff, vent about motherhood frustrations, share motherhood triumphs, and just uplift each other. While there I was also able to meet up with my girl Heidi, who recently moved out to UT after her husband passed away. It was so great to see her and visit with her even if it was just for an evening. Oh and her awesome-est FIL adjusted my neck after the very painful injury I sustained here. It was glorious! I may just be in love with going to the chiropractor! Seriously after he adjusted my neck I could look up, look down, and every which way! Anyway I met my friend Heidi for dinner at an awesome restaurant called Paradise Bakery. She raved so much about their tomato soup that I gave in and ordered a bowl. I must tell you that I am not a big tomato soup fan. I don't like that most are made with a sweet taste, it makes me want to gag. A lot of Mexican dishes are tomato based but they are not sweet at all, instead they are smokey and spicy (not hot) and seasoned with cumin, oregano, onion, and garlic. So I had my reservations about trying this soup. The first bite was so amazing! My taste buds got a treat with the spices, the creaminess, and the crunchiness of the tortilla strips. I could not find jarred tomatoes so I used 1 bag of these sun dried tomatoes that I found in the produce section of my grocery store. They were around $3. 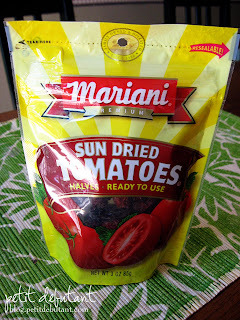 This small bag would be perfect for the 1/4 recipe but the 1/2 recipe could use more than 1 bag. Here's a quick tip. 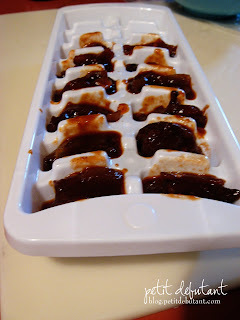 When opening up a can of something for a recipe that only requires a tablespoon, freeze the left overs in an ice cube tray. When they are frozen transfer the cubes to a baggie and they are ready for next time! 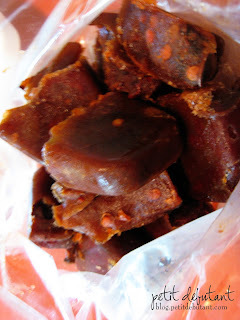 This works great for tomato paste, chipotle (shown), etc. Each cube is approximately 1 tablespoon, at least my trays were, you may want to measure yours with water first. I may have to try that tomato soup. 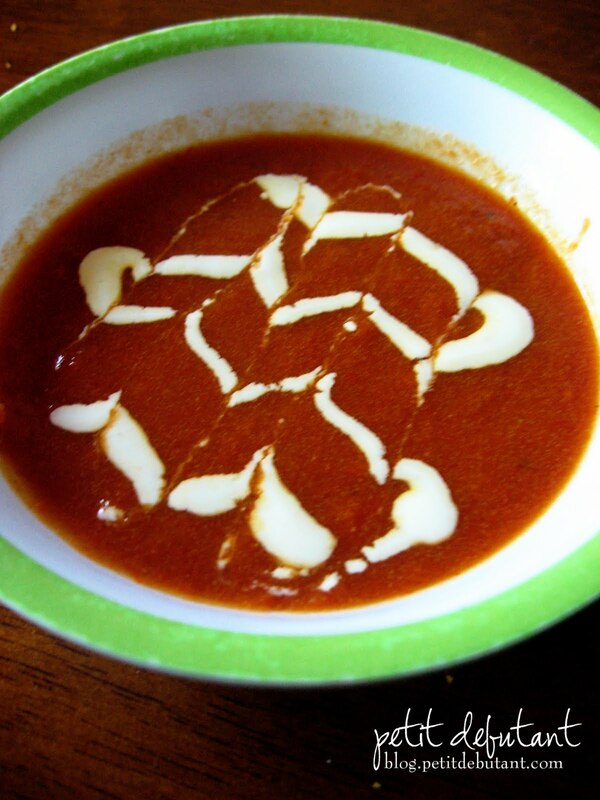 I really agree with you about sweet tasting tomato soup. (ugh) I like it a bit spicy. Do you have some Mexican heritage? I don't, but I love Mexico and Mexican food. I have to ask what you used on top for the decoration -is that heavy cream, sour cream or something else?